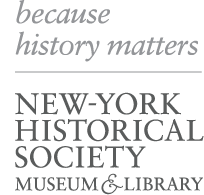 JOB SUMMARY: The Housekeeper position is responsible for the cleanliness and upkeep of the New-York Historical Society offices and restrooms. This includes cleaning, dusting, vacuuming, and more. This position is a part-time position that is scheduled to work from 7 PM – 11 PM, Monday through Friday. EXPERIENCE: A minimum of 2 years’ housekeeping experienced required. Knowledge of cleaning techniques and sanitation products required. Must be customer focused, reliable, organized and adaptable. Clean restrooms including basins, toilets, mirrors, fixtures, fittings and floors. Clean offices including dusting surfaces, window sills and file cabinets. Vacuum and mop floors as directed. Empty and clean trash containers in the offices and bathrooms. Restock bathroom supplies when necessary. Maintain all cleaning equipment and materials. Report all maintenance issues and safety hazards. The Housekeeping requirements involve moderate to heavy work. There is a frequent need to stand, stoop, push, pull, walk, bend and lift objects up to 15 pounds.